A new adult romance about what falling in love for the first time. 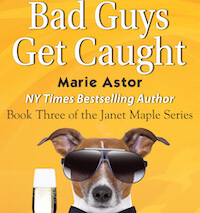 Maggie Robin has been dating the irresistibly good-looking Jeffrey Preston for a year. But when Jeffrey proposes marriage to her a week after her college graduation, Maggie finds herself wondering if she wants to spend the rest of her life married to a workaholic TV show producer. Maggie’s doubts culminate when during a ski trip to British Columbia she meets Taylor Denton, a handsome, free-spirited big mountain skier. Her attraction to Taylor is undeniable, but she is engaged to marry Jeffrey. Will Maggie find the courage to follow her heart? “I’ll be there in a minute, Mom!” Maggie feverishly surged through her room, making sure she had not forgotten anything. It felt strange being back in her parents’ house after having her own place for almost four years. ““I know, Mom.” Maggie sighed, remembering Jeffrey’s zeal for punctuality. At her mother’s mention of her engagement, Maggie self-consciously twisted the huge diamond ring on her finger – the ring was too big, and she constantly worried about its slipping off. “I promise. Now, let’s get this suitcase zipped up.” Maggie was in no mood for one of her mother’s speeches. And yet, she could not help admitting that her mother did have a point. Maggie had been dating Jeffrey for almost two years, and she was pretty sure that she loved him, so marrying him seemed like the next logical step, but no matter how hard she tried to convince herself of this fact, she could not shake off a feeling of uneasiness ever since Jeffrey had proposed, a week ago. They were having dinner at Alain Ducasse when at the end of the meal, right before dessert, Jeffrey reached for Maggie’s hand. “Maggie, we have been seeing each other for a while, and now that you’re done with school, I think it’s time that we took our relationship to the next level.” Jeffrey placed a robin-blue jewelry box on the table. Maggie stared back at him, suddenly at a loss for words. Slowly, Maggie pulled on the white ribbon. Inside, was a smaller box of black velvet. Feeling Jeffrey’s expectant gaze upon her, Maggie flipped open the lid. A giant diamond glinted against the black material. Maggie blinked, wondering what getting engaged had to do with timing and reliability. “Of course, that is not the main reason why I want to marry you.” Jeffrey reached for her hand. “I love you, Maggie. We are perfect for each other. But when it comes to climbing the corporate ladder a man’s character is often judged by his personal life, and I do plan to climb to the very top.” Jeffrey winked. “I’m so glad.” Jeffrey put the ring on her finger where it dangled loosely. Maggie’s first impulse was to explain that her ‘yes’ was directed at Jeffrey’s statement regarding the corporate ladder, but instead, she remained silent, thunderstruck by the enormous diamond on her finger: it was blindingly ostentatious – a single emerald-cut solitaire – just what a future studio producer’s wife would wear. Maggie’s throat felt constricted. It was not that she did not want to marry Jeffrey, it was just that she had not given the matter much thought, and now, he was expecting her to give an answer about the rest of her life right on the spot. “Just do it.” Jeffrey grinned. “No peeking! Okay, you can look now.” Jeffrey placed a travel itinerary before her. “A ski trip to British Columbia?” Maggie’s eyes lit up as the memories of her childhood winter vacations in Lake Placid flashed in her mind – she had even made it to the junior racing team. There was nothing better than flying down the mountain. “Do you think I overdid it?” Maggie wrinkled her forehead. She always felt that she had to put her best foot forward for Jeffrey, so she had packed an outfit for every possible occasion. Maggie glanced at the thick envelope from Yale Law on her desk. “Maggie! Are you listening to me?” Mrs. Robin took her daughter’s hand. There was a knock on the door. Maggie heard her father’s voice. “Come on in!” Mrs. Robin flung open the door, waving for the two men to come in. “It’s so good to see you, Jeffrey!” Maggie’s mother gave Jeffrey an affectionate kiss on the cheek. “Likewise, Mrs. Robin. It is always a pleasure to see you.” As always, Jeffrey was impeccably dressed: a pinstriped colored shirt, a v-neck sweater and wool slacks. “Janet, let’s leave the two love birds to finish their packing.” Dr. Robin put his hand around his wife’s waist. In his other hand he was still clutching a copy of a medical research journal, which he had been reading when Jeffrey arrived. “Not to worry Mrs. Robin. I have everything under control.” Jeffrey flashed a smile worthy of a chewing gum commercial. “All right, then. We’ll wait for you downstairs.” Mrs. Robin reluctantly followed her husband through the door. After her parents left the room, Jeffrey scooped Maggie into his arms and planted a long kiss on her lips. “Boy, I missed you. I can’t wait for us to be alone together.” He winked.